Cold Steel Urban Pal Push Dagger | BUDK.com - Knives & Swords At The Lowest Prices! 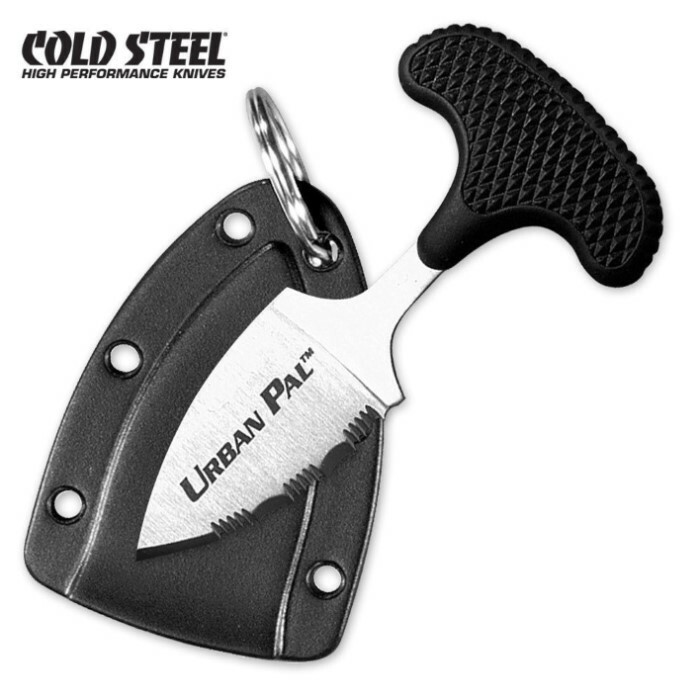 Cold Steel's Urban Pal is an excellent self-defense choice. At less than half an ounce, it's perfectly at home in a pocket or purse and can be easily attached to a key ring, or hung around the neck. With a 1-1/2" long blade, it's big enough to get the job done and its unique, slip-free handle allows you to really put your weight into its point or edge. A Secure-Ex sheath completes the package.